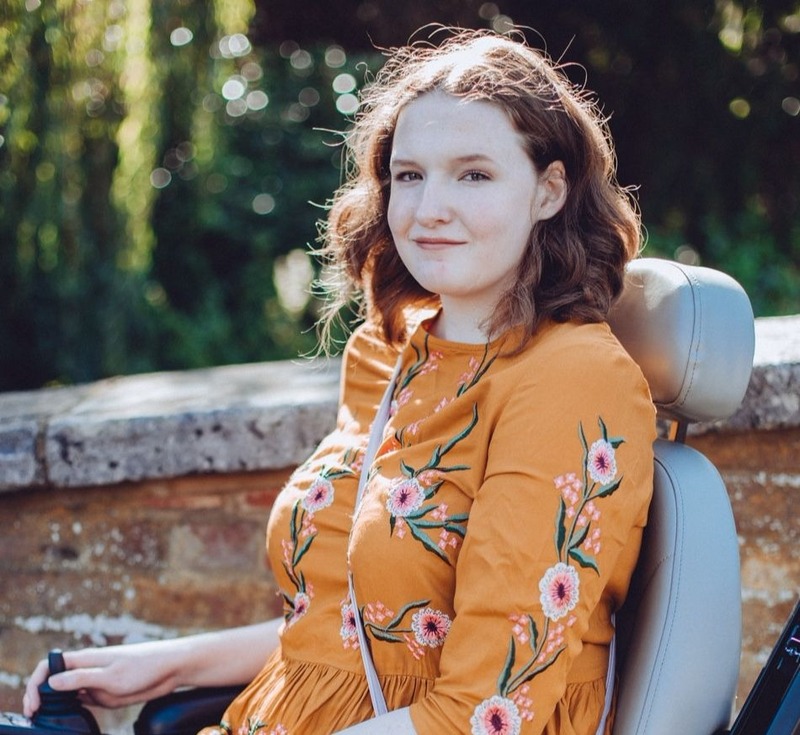 It's day 7 of blogtober which means I've managed to blog everyday for a whole week, I'm pretty proud of myself to be honest. I've really loved the content I've posted so far and I've still got a list of 10 ideas written down for posts but for some reason today I just had no idea what I wanted to post about. That was until I glanced down and saw my growing collection of Funko POP! Vinyls and realised that I hadn't shared them on my blog yet. I've seen a few of these collection posts before and I always click on them because I think they are the cutest little things and I love adding to my collection. Now, my collection isn't a big mixture of all kinds of characters from movies or TV shows, I only collect Sherlock, Doctor Who and Harry Potter ones. I've stuck to them 3 because I think I could end up spending a lot of money if I didn't! First up is my Sherlock ones, I think the first POP! Vinyl I got was one of these, it was quite possibly what started off my little collection! 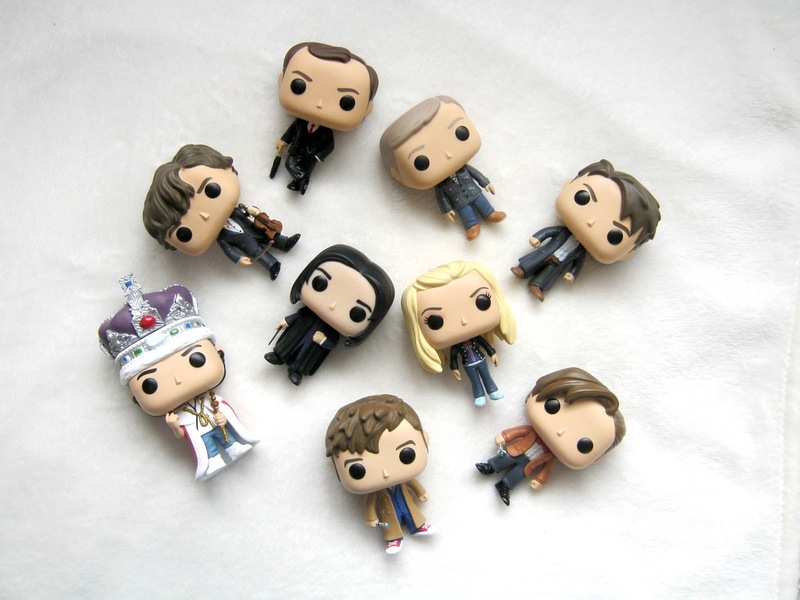 My favourite has to be the first one out of the 4, Moriarty with Crown. The scene where Moriarty breaks into the Tower of London is one of my favourites, he just wore that crown so well. 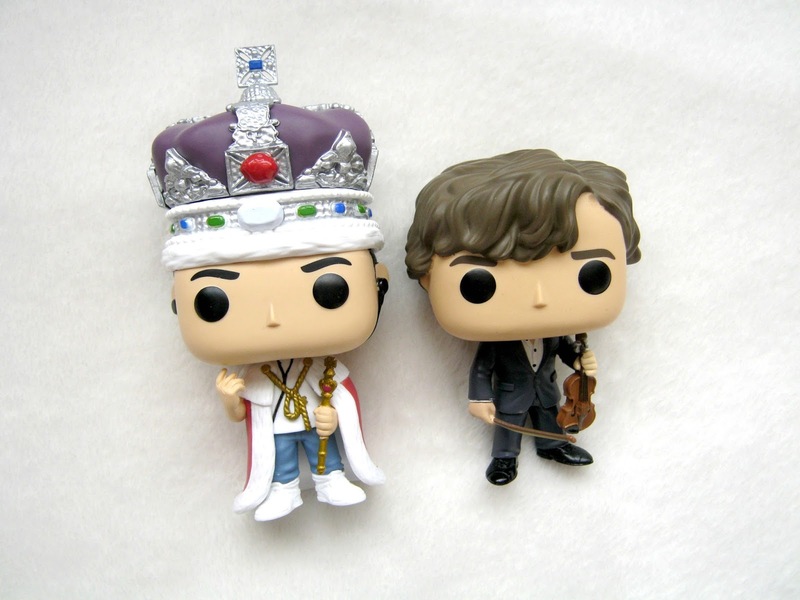 I had to put my Sherlock next to him in the photo, it would be wrong not I think so next up is one of the many Sherlock ones you can get, my one is holding a little violin. I have to applaud them on how well they captured the hair, those curls! Once I had Sherlock in my collection I felt it only right that I should get John Watson to join him, you can't have Sherlock without John. 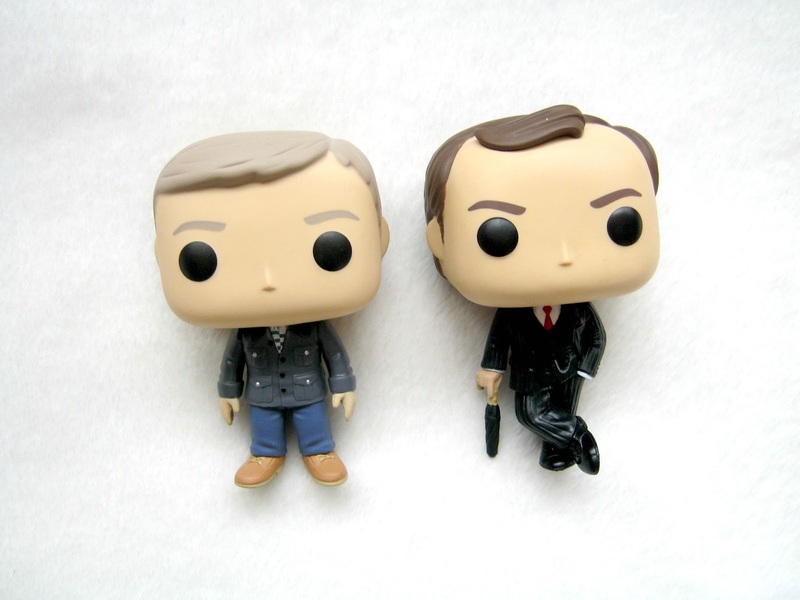 But then I also thought, you can't have Sherlock without Mycroft so obviously I went on to buy him too! I love his little umbrella that he's leaning on, you rarely see him without it so I'm glad it was included. Out of the three types that I collect I think I have the most fun buying the Doctor Who ones, there is such a wide variety of characters available and I also have the Tardis as well now, I'm not ashamed to admit I place the characters next to the Tardis set up as they would be in the show. My favourite Doctor is the 10th Doctor so it's no surprise that he was the first one I bought, he's wearing my favourite outfit out of the ones he wore which made me very happy when I found out, plus the mini sonic screwdriver is such a cute addition. 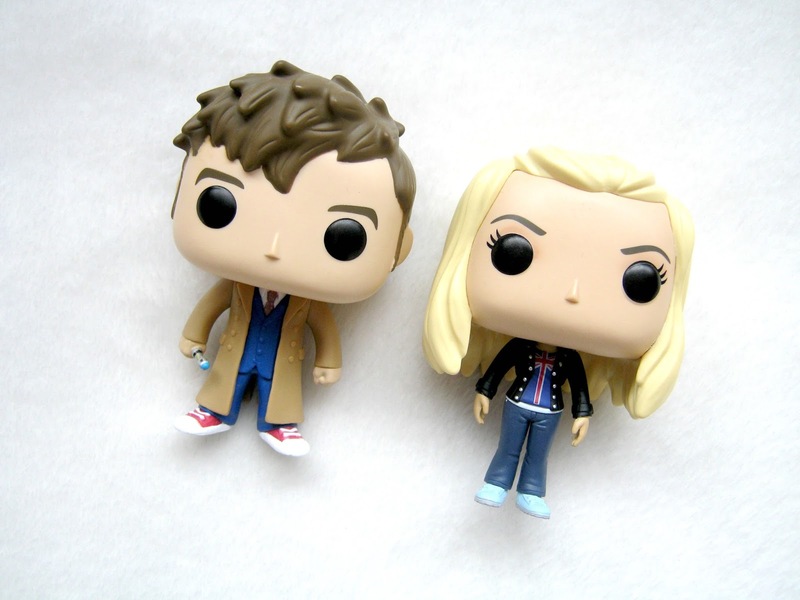 Of course there is no 10th Doctor without Rose Tyler though so I recently bought her to complete the couple, they are the ones that I usually have standing by the Tardis! 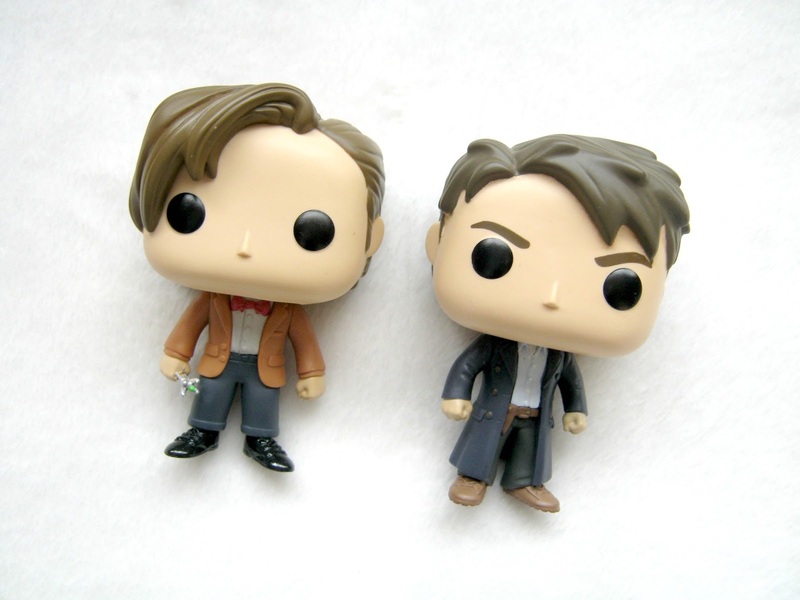 Other than the 4th Doctor my other favourite is Matt Smith's 11th Doctor so he is the other incarnation that I have and he sits alongside Captain Jack Harkness who I got for my birthday this year. Their outfits are both so detailed and copied perfectly! The next ones on my list to get, Doctor Who wise, are Sarah Jane Smith, Ninth Doctor, River Song and the Fourth Doctor. Finally we have my one and only Harry Potter one, I definitely need to start building up this collection more. 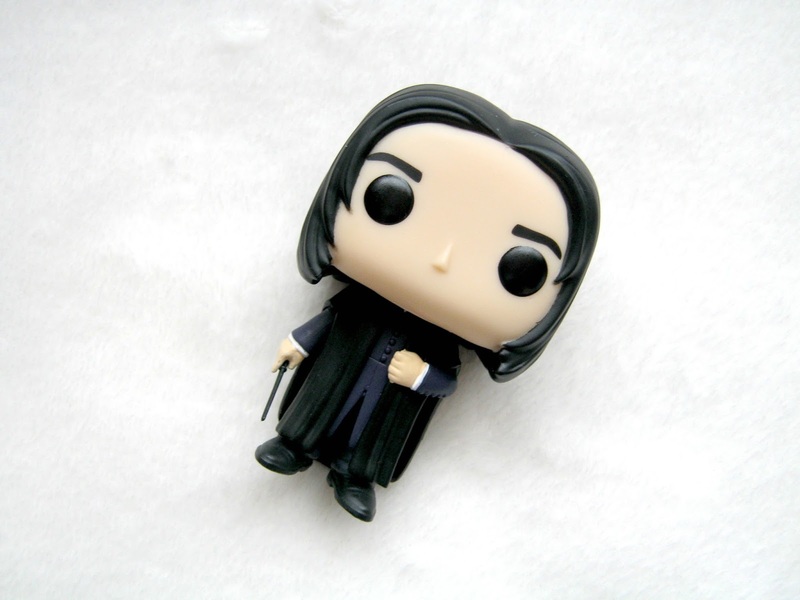 I bought Severus Snape when Alan Rickman unfortunately passed away, I had just started buying POP! Vinyls so it felt right to pick up this one and I'm so glad I did. Everything about him is perfect from his wand to how he is holding his clock, this is a must have for anyone who collects the Harry Potter ones. I've got a long list of the HP ones that I want to buy so I won't bore you with that! If you are wondering where you can buy these you can find them in lots of different places but I tend to buy most of mine from Amazon, that's where I find they are often the cheapest. If you collect Funko POP! Vinyl's then I'd love to know which ones you collect, let me know in the comments! They're so cute! Is it bad that I watch ALL of these, yet out of them, have Moriarty with the IOU apple, and River Song? The way I buy my Funkos is if they are a character from something I like? Think I have...11 or 12 now? Trying to think of the ones I actually have. Apart from the two I said above, I have...Daenerys from Game of Thrones, Groot, Drax and Nebula (she only cost me £3.99!) from Guardians Of The Galaxy, Finn and Captain Phasma from The Force Awakens, Helena from Orphan Black, Dana Scully from The X Files - she was my first Funko! And, Holtzmann from Ghostbusters, although I want all the other Ghostbusting ladies, so may have to make them my next purchases, once I actually find a way to store more, as I have no room on my shelves (keep mine in the boxes). They're just such great things to collect, aren't they? Congrats on a week of posting! I constantly lust over these, the Sherlock ones are fab. SO many from films and TV that I love, I don't think I have enough storage for them haha although I do have a display cabinet with TsumTsums, way too many of those! Have you ever watched Elementary, the US version? It's got Johnny Lee Miller as Sherlock (he's fantastic! ), Lucy Loo as Watson and Rhys Ifans (in serious mode) as Mycroft.